Love this fragrance; Love the price even more. 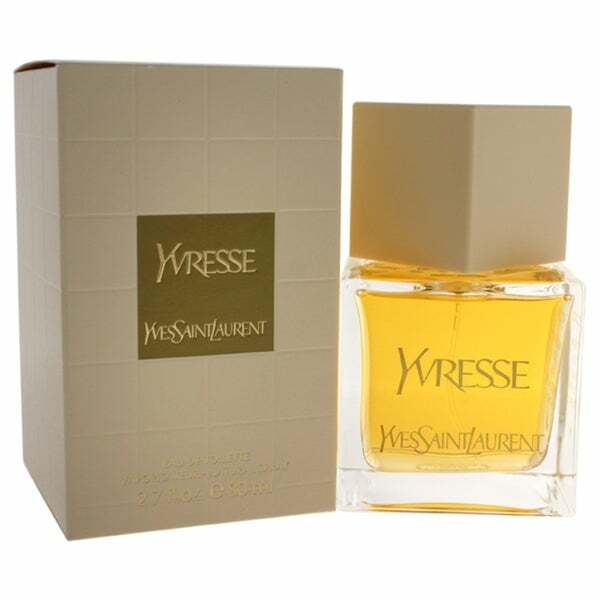 Smell fresh with this Yves Saint Laurent Yvresse eau de toilette spray. The tones of nectarine and rose add a sweet floral scent, while the handy bottle size makes the perfume easy to take on the go. There is something indescribable about this perfume. It has been one of my favorites for years. The Chypre basenotes mixed with fruit and flowers sends\ me to heaven. I am not a fan of floral perfumes...I always tend to stay with the wood and spice notes...like Opium (before YSL changed the formula). Years ago I was given a sample of Champagne which is what Yvresse was known as in the states and I loved it. Glad I found it here...great price! Other retailers are asking double and triple the price. THANK YOU OVERSTOCK!!! It has a nice scent, but is different that I remember. The fragrance is very strong when you first spray it on, but gets better over a little time. I have gotten may compliments on the scent.